The report starts by asking why a CBDC might be desirable, and how it is positioned in the money landscape. Desired attributes of the payment system, attributes of cash, and comparisons with a CBDC are explored. The authors then go on to look at the primary models for CBDCs, including the account-based model, the value-based model, and hybrid variants — including models based on distributed ledger technology. 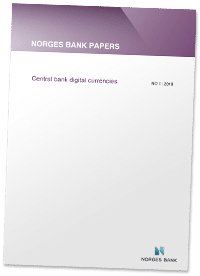 ‘Central Bank Digital Currencies’ then explores the central bank’s role, public demand for a CBDC, and the consequences for banks and the payment system, financial stability and monetary policy. Finally, legal matters are identified and examined: The regulatory framework, consumer protection and competition issues, responsibility for customer due diligence and how the Settlement Finality Directive might apply to a CBDC. ‘Central Bank Digital Currencies’ is recommended reading for executives at central banks worldwide and anyone following digital currency from a strategic, macro-economic, or central bank viewpoint. 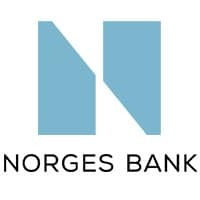 ‘Central Bank Digital Currencies’ has been produced by Norges Bank and approved by the NFC World editorial team. This 55-page white paper is available free of charge to NFC World Knowledge Centre members (PDF format, 1MB).